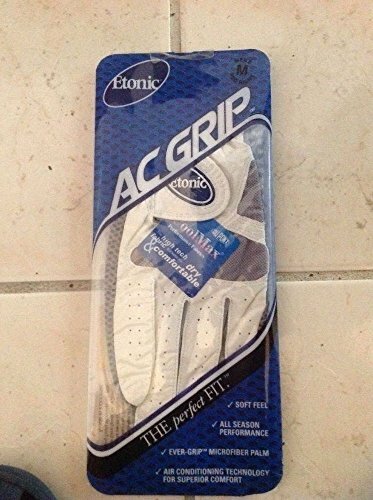 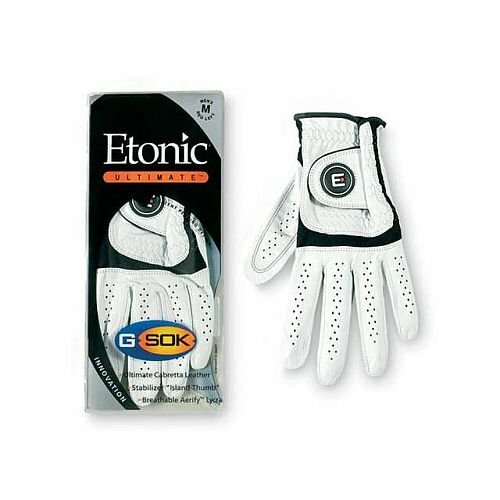 Features: Patent Pending Design: Stabilizer Island Thumb reinforced with Etonics new Aerify lycra delivers lightweight comfort and feel by conforming precisely to golfers hand. 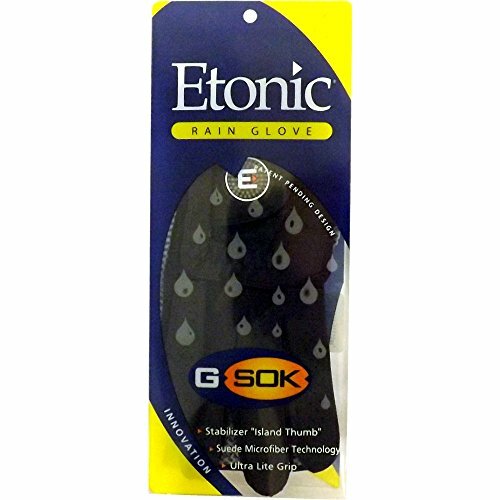 Suede microfiber palm for a sure grip in wet conditions. 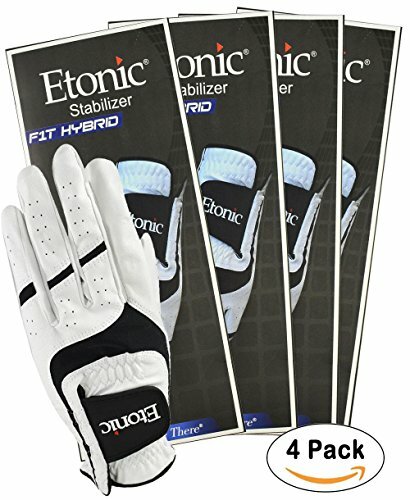 Breathable Dri-Lite Performance microfiber provides a consistent, durable fit.Lightweight Aerify lycra is strategically placed to customize fit; while keeping your hand warm and dry. 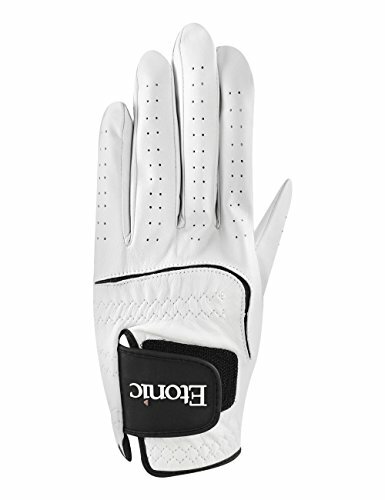 Dri-Sorb Moisture Management Wristband and lengthened cuff enhances comfort and stability. 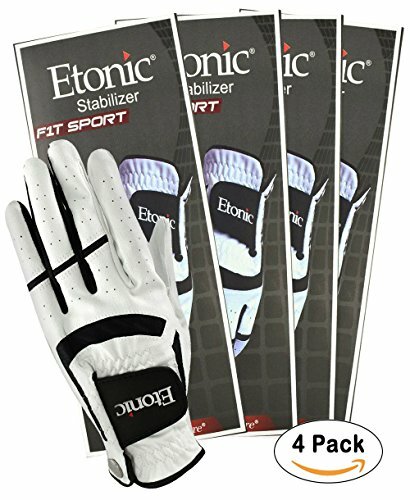 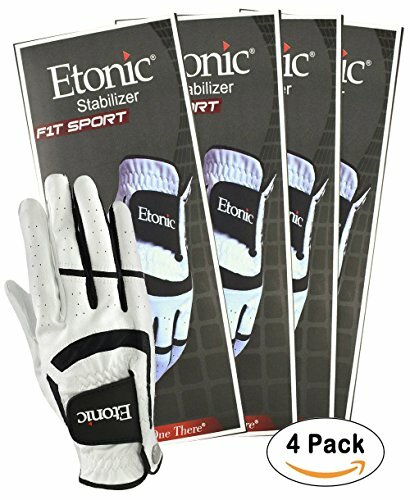 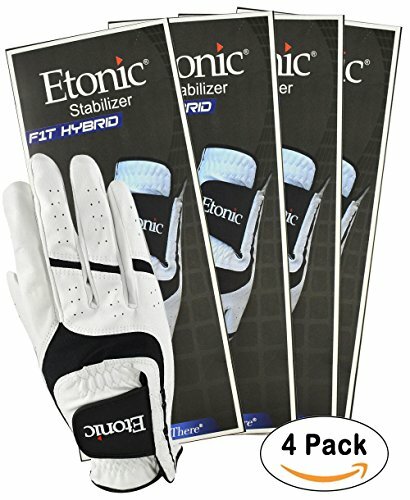 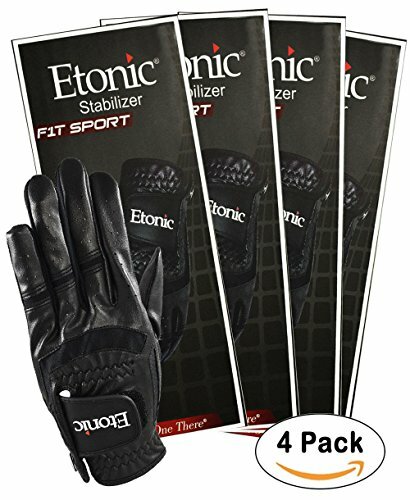 patent pending design stabilizer island thumb reinforced with Etonic's new Aerify lycra delivers lightweight comfort and feel by conforming precisely to golfer hand, 100% Ethiopian Cabretta os specially selected to ensure maximum feel, softest touch, and ultra thin grip, unique silicon tanning process helps gloves stay soft and supple, lightweight Aerify Lycra is strategically placed to customize fit, while keeping your hand cool and dry.